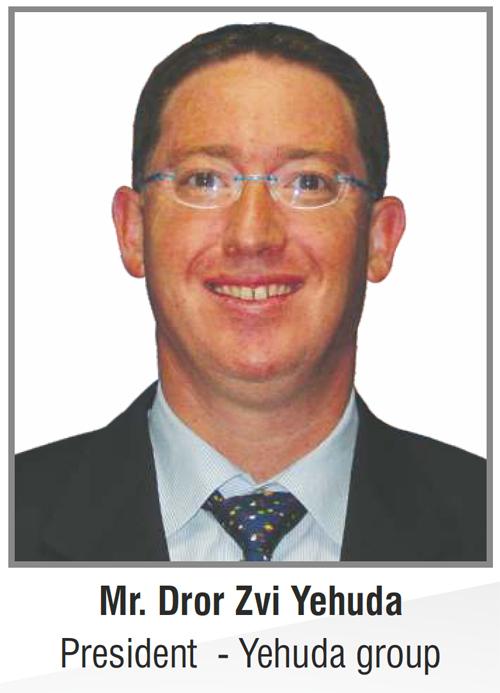 Zvi Yehuda Introduce his first pioneering innovation in the diamond industry in 1952, when he was just 16. His last innovation is yet to be seen. At 75, his mind continues to run in turbo mode, always seeking the next development. However, there is no doubt that the most astounding invention – the furthest ahead of its time, which remained controversial for many years – was that of filling fractures. Zvi Yehuda was raised in the diamond cleaving school that his father - Ben Zion Yehuda - opened in one of the rooms of their home on Nahmani Street in Tel Aviv. In 1946, the father, an architect by training who worked as a carpentry teacher, became a diamantaire specializing in cleaving. Ben Zion Yehuda's story may give us some idea about the roots of his son Zvi's rebellious spirit: "At the time,cleaving was the most profitable profession in the diamond industry. A cleaver's wages were twenty or thirty times more than those of other profession in the industry. Therefore, in order to limit the number of competitors, cleavers adopted an unspoken rule of teaching the profession to family members only. In Belgium, for instance, anyone who breached this internal agreement was liable to find himself the subject of actual violence," Zvi Yehuda recalls. "Despite the taboo, my father decided to set up a school for cleaving in our home. Drawing on his carpentry skills, he built a table in a special shape so that eight students could sit around it, each with enough room to lean his elbows. My father worked until 1985 and passed away in 1995." 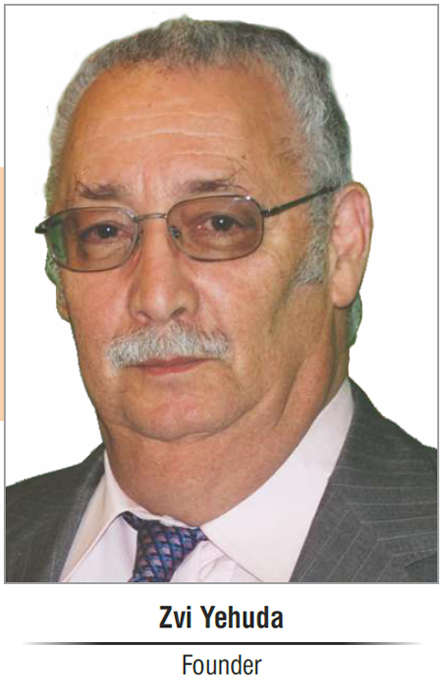 Zvi Yehuda joined the industry in 1952, at the age of 16. It seems, then, that formal education was never a priority for him. He began his career in diamond powder:"During the British Mandate in Palestine, diamond manufacturers in this country had to collect the diamond powder that gathered during polishing and submit it to the Mandatory supervisors of diamonds. The weight of the powder was used to calculate the quantity of production and, based on this entitlement to a subsidy. The custom continued after the establishment of the State of Israel, as well. Piles of diamond powder would accumulate in the office of the diamond controller in the 1950s, Yehuda Divon. The controller went from one professor to another, but none of them had a solution. I told the controller I could help him. He gave me 1000 carats of powder and a week later I brought him 250 clean carats that could be used for polishing . With government funding I rented a place in Jaffa – the Halaf Building on Yerushalayim Boulevard – where the ministry of commerce and industry was located. During the day I would clean powder and in the evening I would study. When I enlisted in the army I continued to clean diamonds, too. In 1957, at the age of 21, the government stopped collecting powder and I began cleaning powder that I purchased on my own. I also found industrial diamonds in the powder, which I sorted and sold to factories engaged in that field." In 1960 I became the first person to bring electric scales into Israel. 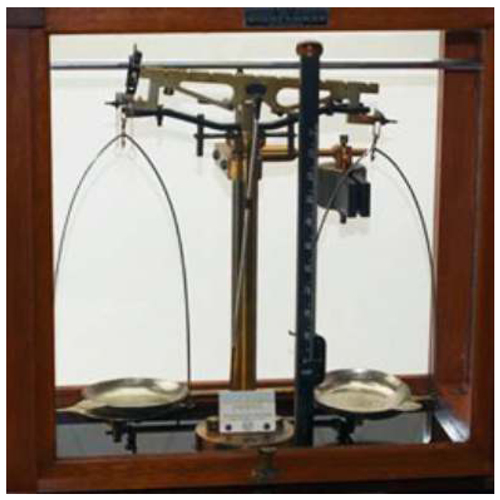 We became the representatives of a Swiss company; I adapted the scales from grams to carats and sold them to factories. They were operated manually, and you had to turn the graduation marks to the right and the left with buttons. In 1964 I invented deep boiling, which releases open piques from the stone. I produced a special, totally sealed instrument that could withstand the very high temperature and pressure, and a special combination of acids to clean the diamonds. A year or two later, deep boiling became a standard in the industry. "In 1968 I invented laser drilling. The same month I presented the technique to the market, laser drilling 'was presented in Belgium as well. I took an existing laser machine and adapted it for drilling diamonds, but not in the way that was customary. There were some laser operators in Israel who tried to drill from the outside in. I directed the beam inward, onto the pique, and pulled the drill outward from there. Afterwards I warmed the canal and prepared the diamond for deep boiling, and the pique was dissolved from the inside. The ingenuity of this development was the drilling outward from the inside. During the same period I began supplying major manufacturers abroad with type-2a diamonds - diamonds with a level of heat conduction three times that of regular diamonds. These were very small stones - two-tenths of a millimeter - which were used to absorb heat from the environment. This is the only material that could be used in fan heaters of semiconductors. I worked in that field for about two years until the CSO purchased the capability from someone else. As soon as that happened, I stopped my involvement, just as I stopped dealing with laser drilling and deep boiling. As soon as someone of good standing does what I am doing, I stop doing it and proceed to the next development. There are dozens or more patents just waiting to be invented and I'm always happy to be the one to do so. In 1973 I became involved in peeling coated diamonds. I peeled coats with a chemical method that doesn't harm the diamond inside and doesn't require rounding the diamond. After the peeling process, the goods sparkled. I peeled very large quantities of stones for myself and for others, but I stopped because this is very difficult work, involving the use of chemicals. To this day those who engage in this work don't know how to do it like we did. In 1977 I invented a device that examines the rough diamond and predicts what color it will be after polishing. The device diagnoses the entire normal scale of colors and the tones of fancy yellow. It tests yellow or blue fluorescence, reports on clouds in the stone, and identifies type 2 diamonds, which are suitable for HPHT treatment. Today every diamond office involved in large stones has one of our color devices. Since its development, we have continued to upgrade and improve it. In the 1970s I was the first person in the world to color diamonds with radiation, using a particle accelerator that I built myself. In 1982 I suggested the idea of clarity enhancement and discovered how to make diamonds with internal flaws look clean by filling them with material that doesn't affect the weight of the stone. And what I have told you covers only to my main developments - there are many others that I skipped." We hear the long story of filling treatments - the objections they initially aroused, the criticism, the difficulty in gaining acceptance, the beginning as an undesired niche, and, today, the position of enhanced diamonds as a broad and well-accepted marketing trend - from a member of the family's third generation in the industry - Dror (1962). When Dror graduated from Tel Aviv University in physics and mathematics, he decided it was time to give in to that bug he caught when visiting the US with his parents at age 11. "I dreamed of living in the States, and I decided to fulfill that dream. I went to the US with my father and my mother, Meira, who has worked with him since they met at age 15, and had been devoted to him throughout his career path and development. We rented an office the size of half a table and set up an enhancement laboratory. After founding the laboratory, my parents returned to Israel and I set out to conquer the world. At the time, enhancements were considered the black sheep of the diamond industry. 99% of the people in the industry decided they didn't want enhanced diamonds. The trade press published countless articles against the practice. Then-president of IDMA, Jacques Roisen, called me into his office and asked me not to use the name Yehuda for the filling process, so people wouldn't say the Jews were ruining the world. Filling enhancements frightened the people in the industry. I understood that in order to eliminate this fear I had to talk about enhancements as much as possible. Every reporter that published an article against enhancements gave me the chance to respond, and I took full advantage of these opportunities. I appeared before every possible forum of jewelers. I traveled from here to there and from there to who knows where, in order to lecture and explain. I never tried to sell enhancements. I only asked that people listen. In the first three years I spoke with more than 10,000 professionals. I gave the GIA enhanced diamonds for research purposes. I did all I could to reduce the level of anxiety. The main concern in the market was the fear of people selling enhanced diamonds without due disclosure, and - to my regret - there were and still are some people like that. Due disclosure is required so that clients know they are buying a diamond that has undergone a reversible enhancement and the conditions in which reversal may occur - under heat during setting, repairing a setting or deep boiling. I gradually began to sell the service - I manufactured polished diamonds, enhanced them and sold them. I selected a target market of independent jewelers in the US. And this initial decision holds to this day. The market began to grow. Within 20 years from the time when nobody wanted enhanced diamonds, nowadays anyone who has a stone suitable for enhancement has it enhanced. I know many diamantaires who said they would never touch enhanced stones and are now among our top customers. We work with 500 jewelry stores and on the Internet. We don't sell on the Internet, in order not to compete with our customers. Demands we receive through the website are referred to stores. 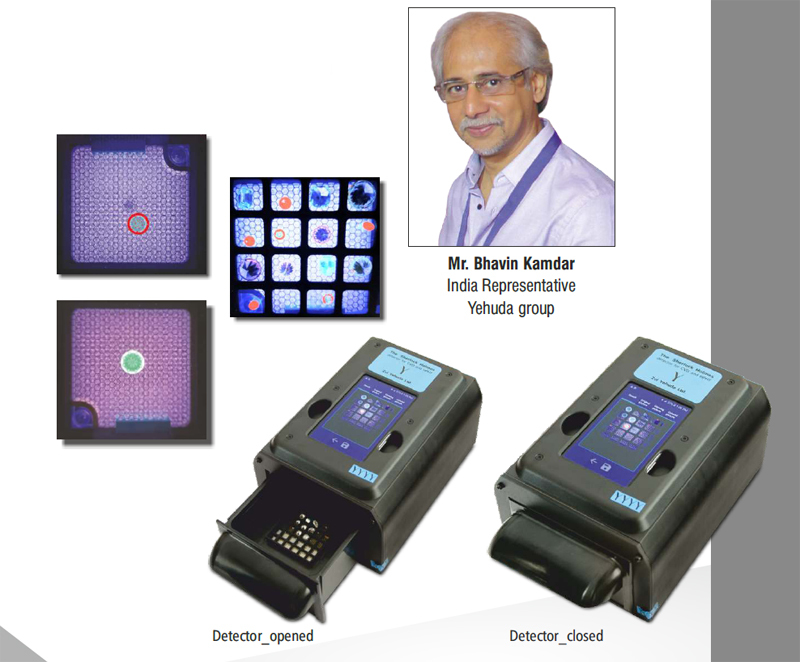 The Zvi Yehuda Sherlock Holmes Detector for CVD and HPHT lab grown diamonds is the new kid on the block. However, my dad Mr. Zvi Yehuda has been well known for the past 65 years for his scientific breakthroughs and inventions. 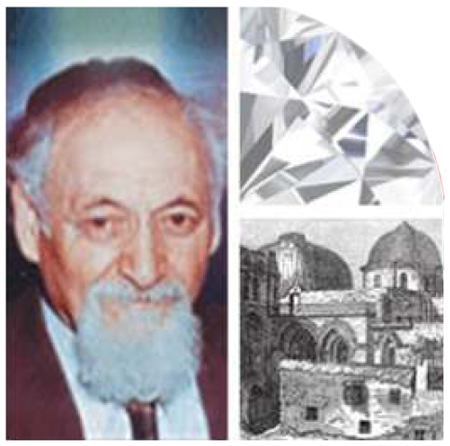 Mr. Zvi Yehuda invented the laser drilling of diamonds in the 1960s. In 1977 he invented the rough diamond colorimeter. 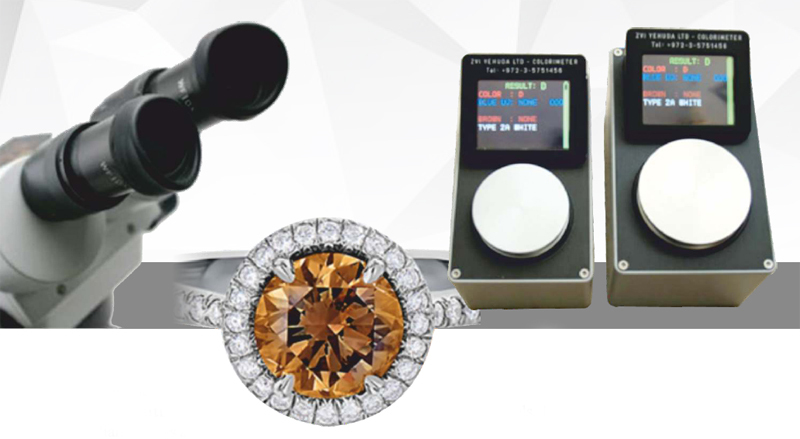 The Zvi Yehuda colorimeter determines the color of a rough diamond before its being cut. He invented the clarity enhancement process for diamonds (fracture filling) in 1982. His last breakthrough is the inventing and manufacturing the Sherlock Holmes detector. The Sherlock detects CVD and HPHT lab grown diamonds. It is a portable, light weight (2Kg) , easy to use and very fast detector. It gives clear, colorful and consistently repeatable results. Anybody can learn how to operate in a few minutes. The Sherlock detects CVD and HPHT lab grown diamonds in loose single stones, in parcels and mounted in jewellery. It takes the same few seconds to check a single stone, a ring with 50 stones or a parcel with 100 stones. In a matter of seconds you will know that if the parcel is "clean". If it contains synthetic diamonds- we supply a tray that helps you separate them. It is the best tool to take a parcel and clear it. The accuracy of the Sherlock Holmes is unmatched. It is accurate and most importantly – it will repeat the results every time. A huge advantage of the Sherlock is the fact that it is the most affordable in the market. USD5495 Only . It makes the detection affordable to everybody. Our belief is that we are helping our industry to keep its integrity and our ability to sell a detector in such an affordable price gives us pride.